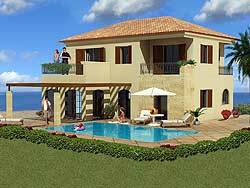 Monarga Coral Beach is one of the best properties listed in Cyprus44 property reviews. Monarga Resorts in North Cyprus are the latest high-quality developments at Bogaz, in the Mehmetcik region, with the advantages of being just 40 minutes from Ercan International Airport, and 15 minutes from the ancient city of Famagusta. The village of Bogaz is currently undergoing extensive development, yet it is also the gateway to the rugged beauty of the Karpas Peninsula. 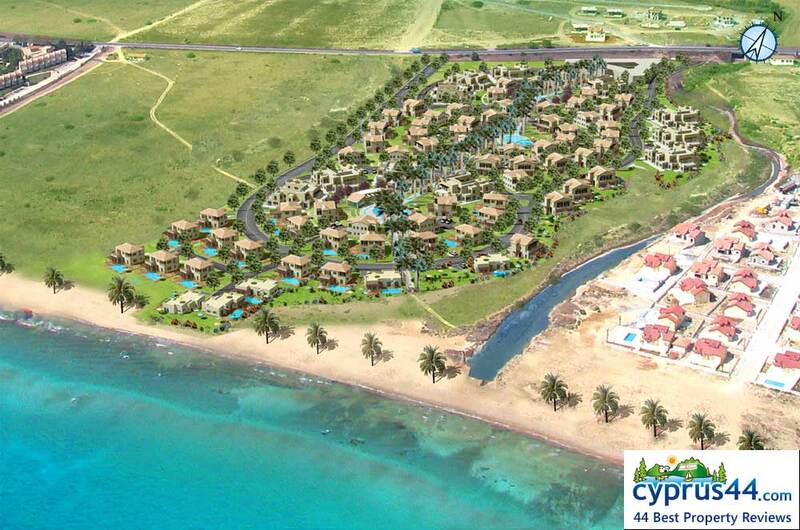 The number of developments offering true coastal access in North Cyprus are rare, but Coral Beach offers you the chance to have a sandy beach right on your doorstep! The villas and houses at Coral Beach are just a short distance from the fishing village of Bogaz, with irresistible views over the sweeping Famagusta Bay. 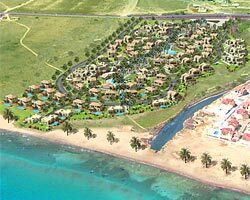 The Coral Beach development is designed as an elegant arrangement of three circles, with a swimming pool at the centre of each circle. Most of the properties curve gently around these circles, giving the air of an elegant Georgian crescent, while others fill in the others areas in this roughly rectangular plot. With the short end of the rectangles at the road and beach ends of the development, not all the apartments will have a sea view, and most will be a short walk away from the sea. 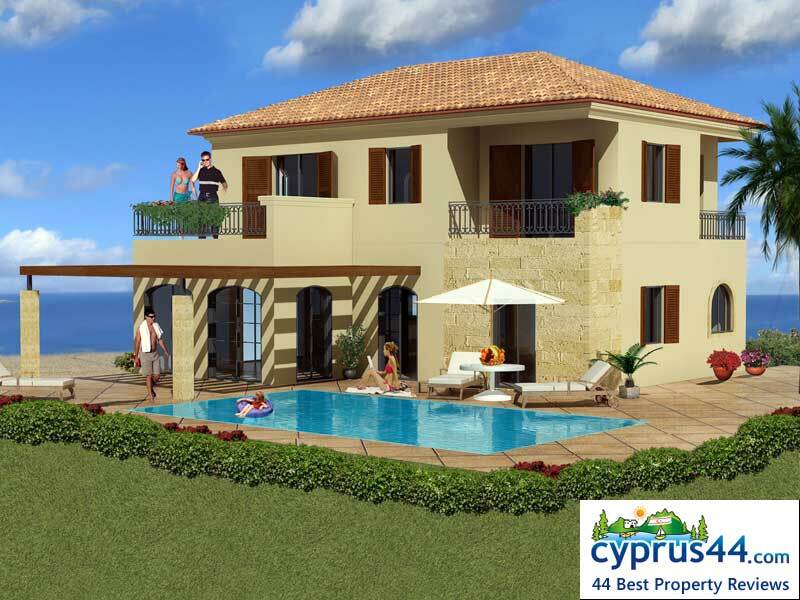 Coral Beach is ideal for those looking for a larger property in North Cyprus, offering four bedroom villas with large open plan living spaces, good sized bedrooms and a private swimming pool. The type P villa even has its own Jacuzzi in the master bedroom en suite bathroom for an added touch of luxury! Upstairs, there is a further master bedroom with ensuite and a walk-in wardrobe, for all those clothes you can't beat to be without. There are two further terraces on either side of the villa, so you can always find a place to lie in the sun! The Coral beach community offers a choice of swimming pools, a resident's clubhouse with sauna and fitness centre, an activity centre for the kids, and film projection room. You can enjoy a game of snooker or a cup of coffee before browsing the net in the internet café . If you love the glitz and glamour of the Las Vegas lifestyle, it's only a courtesy shuttle bus ride to the casino and five-star entertainment at the nearby mega-resorts. No posts found related to Monarga Coral Beach. This web page is served on 19 April 2019 at 23:47:55.